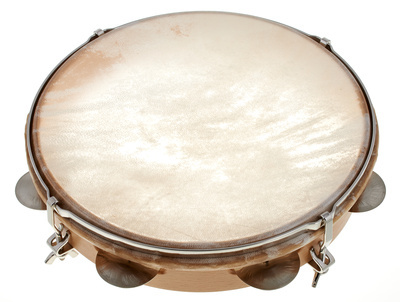 STUDIO 49 Tambourines are available with genuine calfskin or goatskin head, an easy-grip wood rim, and large, high-quality, hammered jingles made of German sliver. The sound of a natural skin head has more tone color than a plastic drumhead. 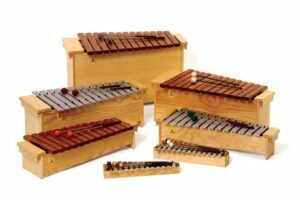 However, genuine skin heads are hygroscopic – in other words, you will need to retune them when the room temperature and humidity change. 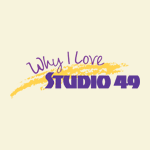 Jennifer E. loves STUDIO 49 because the instrument sound is fantastic and the mallets are of excellent quality.